With the Navitimer 01 Breitling presents a long-time favourite of pilots and aeronautical enthusiasts. The stainless steel case houses the self-winding mechanical movement with a power reserve of 70 hours. The black dial presents silver tone chronograph counters and applied indices, a red seconds hand and a date window past four o'clock. 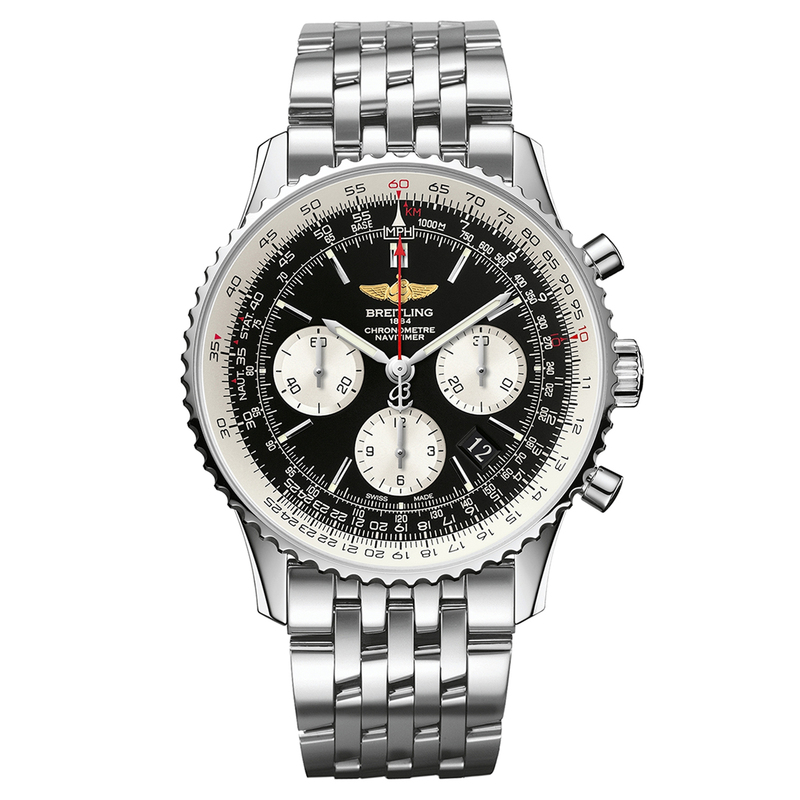 The ratcheted rotating bezel enables smooth handling of the circular aviation slide rule. A polished steel link bracelet adds the finishing touch.